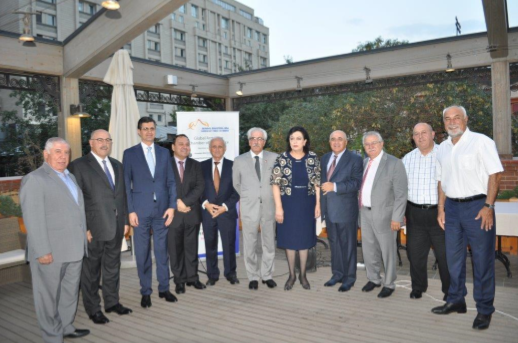 October 2017– The Armenian Trade Network – Global Armenian Chamber of Commerce held its third Business Forum and fifth General Assembly in Yerevan on September 19 and 20, 2017. These ATN events are organized biennially and aim to strengthen the centuries-old Armenian transnational trade network by establishing new linkages, exchanging knowledge and experiences, and promoting economic development both in Armenia and business communities worldwide. The third ATN Business Forum was organized in collaboration with the Ministry of Diaspora and the Ministry of International Economic Integration and Reforms within the framework of the 6th ArmeniaDiaspora Conference. 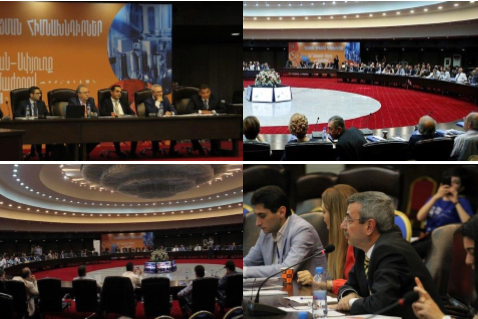 The economic section of the second day of the Conference on September 19 consisted of the ATN Business Forum. Close to 300 participants including ATN delegates from Armenia, Argentina, Artsakh, Australia, Belgium, Canada, France, Iran, Lebanon, Romania, US, as well observers from over 20 Diasporan communities, government officials and numerous private sector and NGO representatives both from Armenia and Diaspora took part and engaged in the dialogue. The first session of the ATN Business Forum was titled “The Potential of Diasporan Business and Professional Networks.” The forum was kicked off with presentations by former Romanian finance minister and current senator Varoujan Vosganian, who talked about the critical role of transnational networks, and the Bank of Sharjah executive director Varouj Nerguizian, who elaborated on global market opportunities for Armenia and Armenians. Other panelists included Armenian Chamber of Commerce CEO Andranik Alexanyan, TUMO director MaryLou Papazian and Children of Armenia Foundation’s founder Garo Armen. The second session focused on the “Promotion of Armenia-Diaspora Economic Cooperation” and featured the president of the Union of Manufacturers and Businesses of Armenia Arsen Ghazaryan who spoke on Armenia’s investment environment, Tufenkji Group director Carlo Gaspar on Syrian Armenian investors’ experiences, Synopsys director Hovik Moussayelyan on the role of the Diaspora in the success of the IT sector, businessman Tigran Gabrlielyan on Artsakh’s investment environment and Deputy Minister of Economic Development Hovhannes Azizyan on Armenia’s prospective economic sectors. Lively debates moderated by ATN board member Vahram Pirjanian the president Alec Baghdasaryan took place during both sessions with the participation of a number of discussants from the UK, Portugal, Russia, Spain. 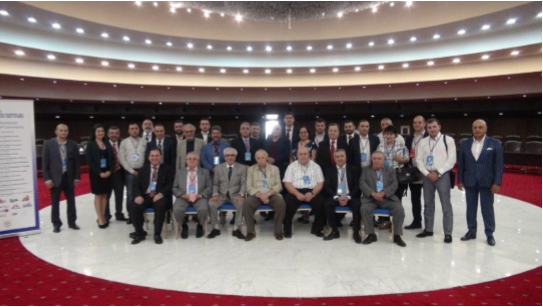 The 5th ATN General Assembly was held for official delegates, new organizations and invited observers on September 20. 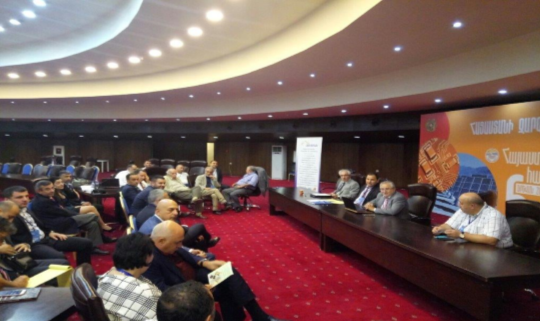 The first part of the Assembly aimed at re-introducing ATN and exchanging ideas on the significance of global business networking among the Armenians. About 35 official delegates, representatives of business associations and registered observers took part. The latter came from communities where mainly business organizations are not present: Egypt, Georgia, Holland, Iran, Malta, Russia, Singapore, Sweden, Syria, UAE and the UK. The Honourable Varujan Vosganian launched the debate urging all communities to rally around ATN as an effective tool for dialogue and joint initiatives in the future. During the delegates’ meeting which followed, organizational and membership issues were tabled and decisions taken. The Assembly decided to focus on the expansion of ATN into new business communities, therefore, expanding the reach of the organization globally. A new executive was elected as follows: Hrach Kaspar (President), Andranik Alexanian (Vice President), Vahram Pirjanian, Alec Baghdassarian, Miguel Haroutiunian, Arsen Ghazarian and Harutyun Hayrapetyan (Adviser). Two new organizations applied for ATN membership, namely the Netherlands Armenia Chamber of Commerce and the Syrian Armenian Business Council. 1) Armenia Business Excellence Award………..Mr. Arsen Ghazaryan of Apaven 2) Global Achievement Award………………….Mr. Varouj Nerguizian of the Bank of Sharjah 3) Investor in Armenia Award…………………..Mr. Tony Moroyan of Viasphere 4) Business Person of the Year Award………….Mr. Ralph Yirikian of Vivacell-MTS Armenian media outlets extensively covered the event. 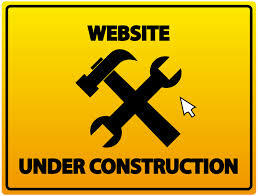 For further information, contact the ATN Secretariat at info@armeniantradenetwork.com.